Hello, and welcome to Life Under Construction blog – the family chronicles of Javier, Maddison, Sylas, Ivan and Amalia! 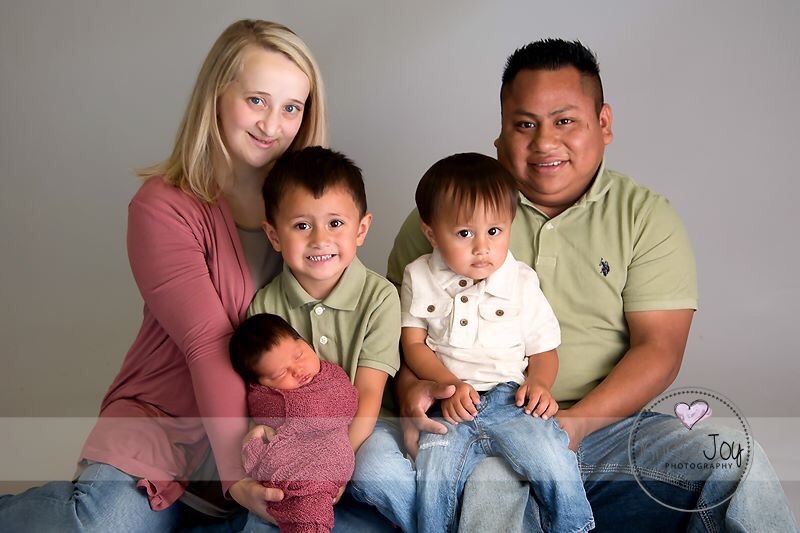 We are a family of five located in the rural Midwest of the United States. We are lovers of Jesus and His word. We enjoy being outdoors and delight in taking family hikes, playing outdoor games and visiting parks. When the weather doesn’t permit outdoor time, we like to have a movie night on the couch or some quality playtime together. Maddison is a bioanalytical laboratory scientist at a local hospital where she specializes in Microbiology. She enjoys reading, riding her bike, going to the lake, music, photography, her pets and spending time with her family. Javier is the head chef at a local restaurant. He enjoys music, games, soccer, going to the lake and spending time with his family. Sylas is a rambunctious little boy who enjoys playing for hours on end. He loves learning new things, anything that has to do with bugs and loves four wheeler rides with his papa. Ivan is a wild child who is too ornery for his own good. He has no fear and is quite the little explorer. Momma is always on her toes with this one. Despite his spunky attitude, hes also an affectionate little fella who loves some good snuggles. Sugar and spice and everything nice, that’s what Amalia’s made of. She enjoys snack time, being on momma’s hip and doesn’t mind the noisy chaos that having two big brothers can bring. Thank you for visiting mine as well!! I am always on the lookout for women who are/ have been in the same boat.